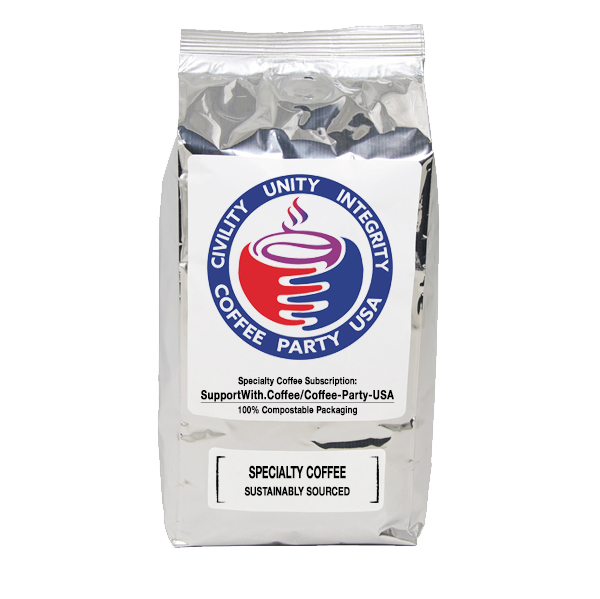 Support Coffee Party USA with our home delivery coffee subscription service! We sell sustainable & ethical coffees from around the world. To place a SUBSCRIPTION ORDER click here. Drink Coffee Change the World! 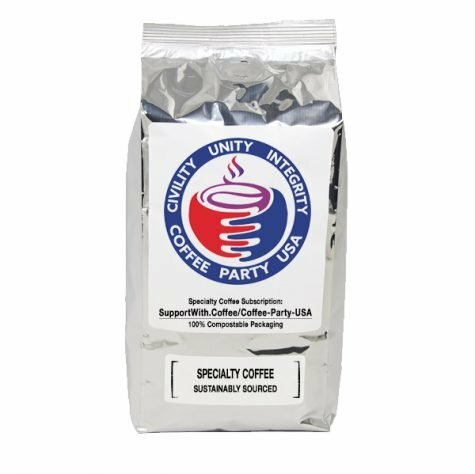 Support Coffee Party USA with every bag of coffee purchased here! Just choose your coffee and edit quantity. Each order includes 2 lbs of coffee, except for our Sample Pack which includes a selection of 4x different 2.2oz (74g) sample bags of coffee per Sample Pack. Manage orders from your My Account page. To make a recurring SUBSCRIPTION ORDERS click here. All coffees are roasted by Café do Paraíso, a small single batch artisan roaster focused on high quality sustainable and ethical coffees from around the world, in Las Vegas, Nevada USA. >1400m – 2000m depending on region and country. Varies based on individual coffee. Click on the link to our "Coffee Origin Information" for specific details on each of our coffees. Organic* – Indicates coffee was grown on a farm that is certified Organic. Our roasting facility is not yet organically certified. UTZ* – Indicates coffee was grown on a farm that is UTZ certified. Our roasting facility is not yet UTZ certified. RFA* – Indicates coffee was grown on a farm that is Rainforest Alliance certified. Our roasting facility is not yet Rainforest Alliance certified. Direct* – Indicates direct trade. Most of our Brazilian coffees were purchased directly from the farms in Brazil. Washed, Honey, and Natural depending on the region and country. Non-GMO (Non-Genetically Modified Organism). We have not certified our coffees as Non-GMO but have strong reason to believe that currently all coffees internationally have not been genetically modified beyond simple farming techniques like those practiced in Ethiopia over hundreds of years. Most of our coffees are purchased from OLAM Specialty Importers based in Healdsburg California. Our only coffee that is sourced from a FairTrade certified farm is our coffee from Huehuetenango Guatemala. We consider Direct Trade the most responsible way to source coffee, which we do with most of our Brazilian coffees, and believe Rainforest Alliance to be superior ethically to Fair Trade and Organic coffee certifications because of its more well-rounded approach to social and environmental ethical practices. Biotre craft bags, made with a combination of paper and biodegradable polymer lining, and plastic pressure valve. OLAM Specialty Coffee Importers based in Healdsburg California. Ethiopian Heirloom Varietals, Mundo Novo, Red & Yellow Caturra, Borbon, and other varietals depending on farm and region of origin.